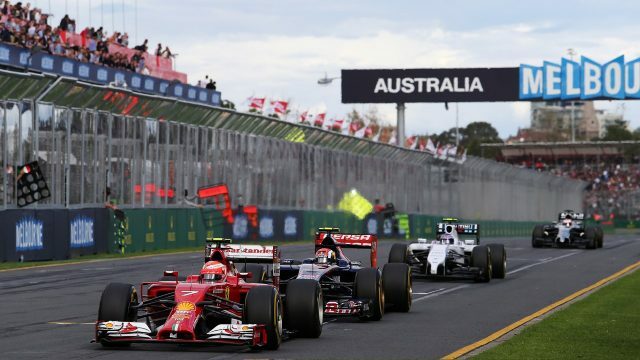 The Formula 1 season opener in Melbourne is one of the world’s greatest sporting events right on our doorstep. It has glitz, glamour and adrenaline all in the picturesque road race setting of the Albert Park lake. With racing teams, officials and race fans from all over the world combined with some balmy Autumn Melbourne weather, this is truly an event not to be missed. Crack out the sunnies (RayBan sunglasses preferably) and let’s go racing! One of the main points of difference of this event compared to others on the sporting calendar is the number of luxury brands sponsoring the event and the individual teams. Lewis Hamilton for example, drives a Mercedes AMG car and co-sponsors include the stunning luxury Swiss watch company IWC Schaffhausen, high fashion brand Hugo Boss and leading high-end stereo sound brand Bose. With such a large and diverse range of sponsors comes a number of pre-race functions, from private dinners to new product launches, and it’s the week to be based in Melbourne to be a part of it all. On Friday, I was lucky enough to be invited to attend the Mercedes-Benz Silver Arrows lounge with VIP access to pit lane and the Mercedes AMG F1 team garage. This was a sporting experience like no other. The Silver Arrows lounge for starters was beautifully styled and served some delicious food and treats, including pulled beef sliders, silky mushroom risotto, mini cheese cakes and cream chocolate mousse. Freshly ground coffee was produced at call and the drinks were free-flowing. Throughout the day, the Mercedes team kept us informed of track and team updates and shared their knowledge of the cars, drivers and circuit which was extremely informative and interesting. What topped the day for me was a private tour of the Mercedes AMG team garage, including a no cameras look behind the scenes of how the team sets up the garage for race day. What stood out here was the focus on process, process, process. From when the team walks down the black and silver lined hallway to the garage, there are rows of earphones for when the team clocks on and off to assist with communication. Every drawer and cupboard has been strategically positioned to ensure familiarity race after race, to cut down times in the process to ensure maximum team efficiency. The drivers tyres are all sorted into front left, front right, wet, dry. We were told there’s a maximum of 60 team members in the garage and that Albert Park has one of the smaller team garages on the circuit, compare to for example Dubai and Kuala Lumpur. Albeit Mercedes AMG has another 100 team members in their English-based headquarters providing further intel and assistance to the team on the ground. It was also great seeing the range of IWC timepieces the team were wearing! – Melbourne is the world’s most liveable city! The food, arts and culture separate it from the rest of our nation and the number of sporting events are unrivalled. The buzz around the city is like no other and shouldn’t be missed with public and VIP events on every night through the program. – The number of luxury brands in attendance is second to none. Experience the best of the best when it comes to lifestyle, cars and fashion. – If you like fast cars, then you should definitely be going to the GP. With a range of races throughout the week, including V8 super cards, classic cars and the celebrity race, there’s a plethora of viewing entertainment when it comes to the need for speed.